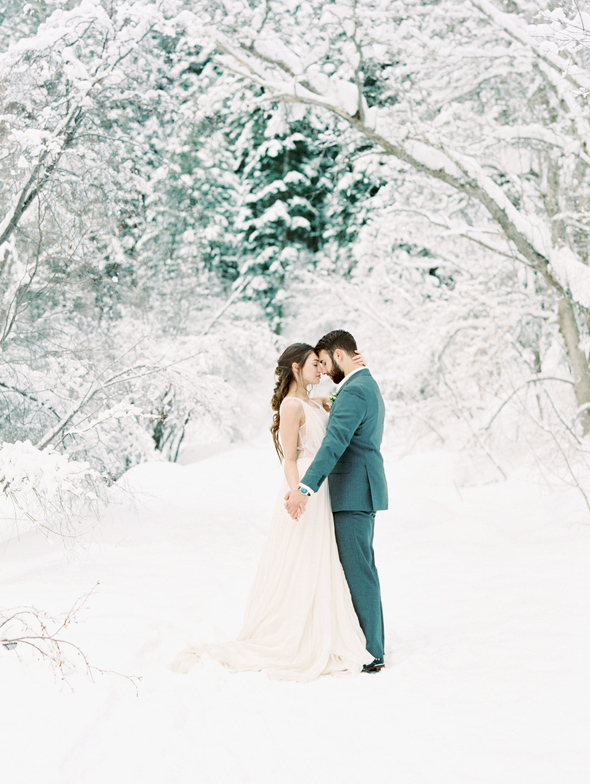 There's nothing better than cozying up on a snowy day with the one you love, right? 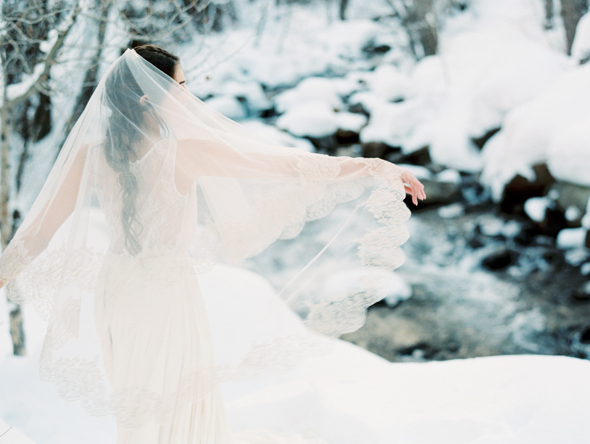 from D'Arcy Benincosa Photography and Lacy Geary Design. 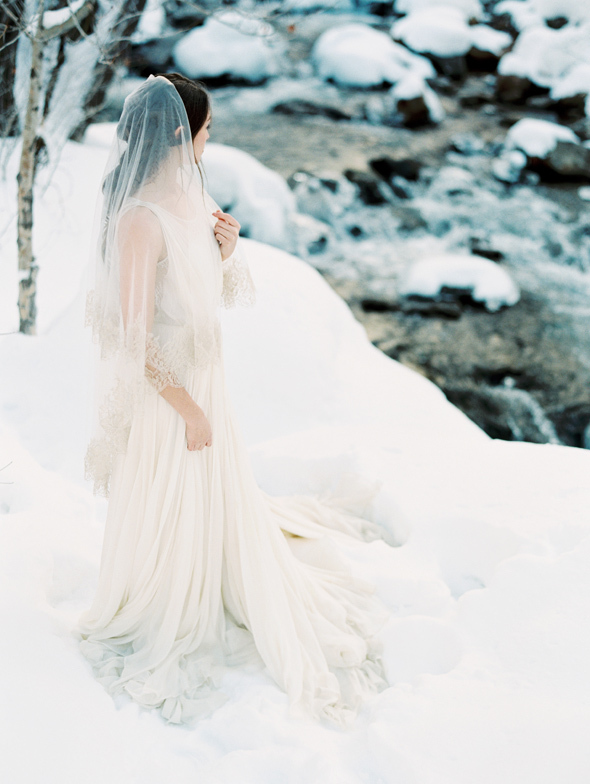 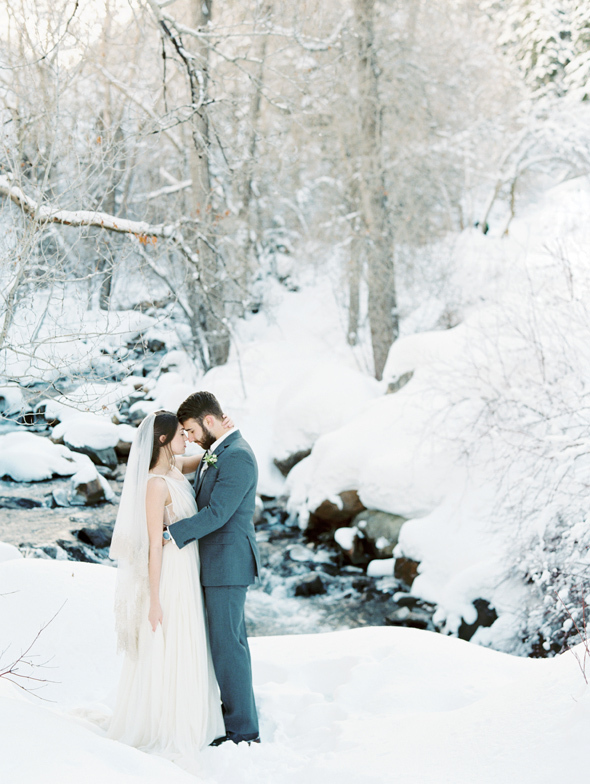 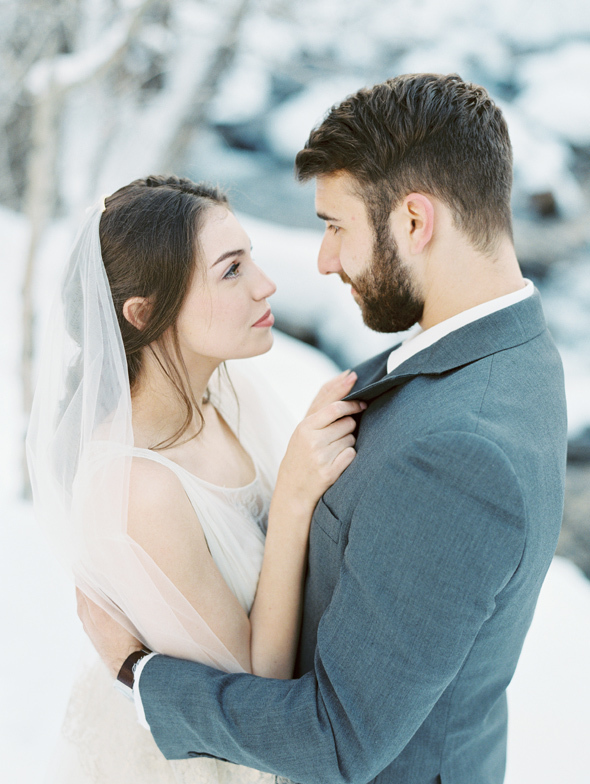 Our Gold French lace gilded veil adds a touch of warmth to the bride's ensemble and the muted landscape, while the beautiful drape of this Leanne Marshall gown set the scene for the beautiful bride to drift and dance throughout the magical Winter landscape.